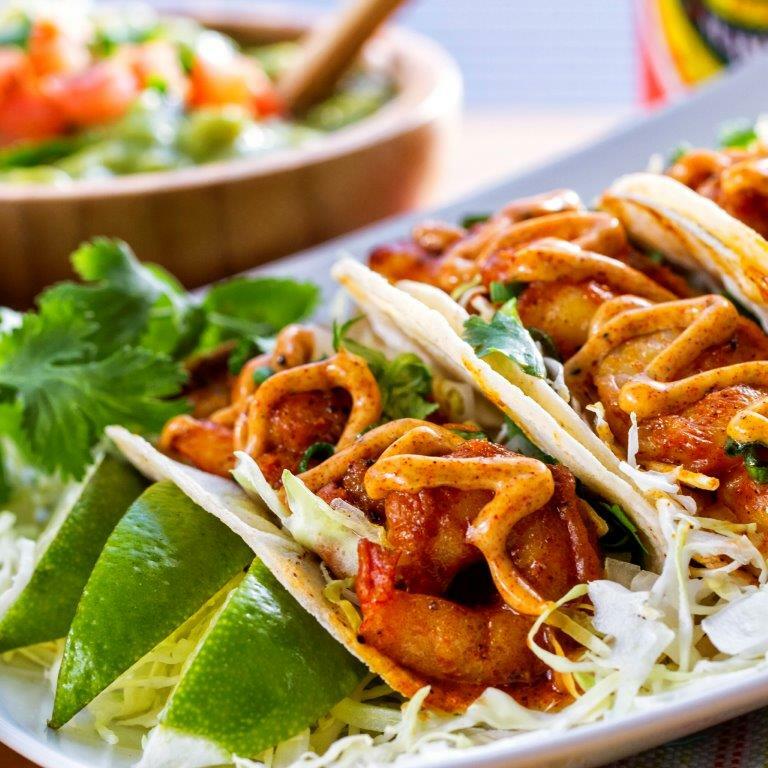 Lay out the corn tortillas and place a small bed of cabbage down the middle of the tortilla and top with 5-6 shrimp. Top with diced white onion and fresh cilantro and serve with a lime wedge. Makes 4 servings. Variation: Top with fresh salsa or guacamole. Can also top with Ring of FireSpicy Mayo.